No diets. No fads. No gimmicks. At Back Pain Center, Emily Welin, our Registered and Licensed Dietitian Nutritionist, will help people to embrace healthy lifestyle changes, not one specific “diet”. We encourage clean eating, involving whole, natural, and nutritious foods being the foundation of a healthy, well balanced diet. We will help you avoid the vicious yo-yo dieting cycle and not rely on weight-loss supplements. Emily will take the time to get to know you and build a trusting relationship with each and every one of our patients. We understand that the key to weight loss needs to be personalized rather than following trendy diets. Emily will work with you to find the best way to reach your specific nutrition goals. Visit our BPC Services Page to see what services Emily can provide after assessing your current condition and needs. You can trust Emily to be your personal food and nutrition expert. Finding reliable nutrition information can be very confusing & frustrating, but Emily will be able to provide you with the most up-to-date research-based information. By providing science-based nutrition information, Emily will help you feel empowered to make food and nutrition decisions that will allow you to live your healthiest, most nutritious life. Emily is passionate about serving as a partner and support system for her patients. Patients will be able to call/email her in between appointments if any questions or concerns come up. 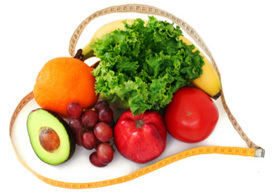 Eat for life with individualized, affordable nutritional counseling! Contact us today to schedule a consult with our registered and licensed dietitian.